London Wasps-owned Ricoh Arena stadium has an ‘uncertain’ future after recording further operating losses of £1.4million, its directors state in newly published accounts. The new accounts for Arena Coventry Limited (ACL) are for the year up to June 30 last year, and cover the first six months of Premiership rugby club London Wasps’ ownership. Newly published accounts for Wasps Holdings Limited for the same period, formerly London Wasps Holdings Limited, also report ongoing massive debts, with £35million owed to retail bondholders, in a scheme first revealed in the Coventry Observer; and operating losses of £2.4million. But, unsurprisingly, London Wasps’ directors point to turnover trebling to £21million in their first six months at the Ricoh, compared with the previous year when they rented Wycombe Wanderers Football Club’s Adams Park ground. The debt is due to be paid pack to bondholders in 2022, and in the meantime Wasps has to pay out more than £2million each year in interest payments. London Wasps’ group operating losses were £2.4million last year. Increased turnover for Wasps is set against the increased costs of running such a large stadium venue. London Wasps and ACL have claimed evidence of an upward trend includes reported average 11,401 ‘home’ gates in 2014/5 (which included tens of thousands of giveaway Ricoh Wasps tickets); investment in upgrading hotel facilities; and securing major events such as MTV Crashes, Bruce Springsteen and Rihanna this summer. But the estimated value of ACL of £48.5million on which the bond shares were issued is based on forecasts and assumptions of uncertain trading performance in the years ahead, as the accounts statement accepts. The £48.5million valuation by independent firm Strutt & Parker sharply contrasts with the former Ricoh owners – Coventry City Council and the Alan Edward Higgs Charity – sale of their ACL shares to London Wasps for a reported £5.5million. It has caused many angry Coventry City football fans to protest the stadium, which was always part financed by the club, was sold ‘on the cheap’ in October 2014 by councillors behind closed doors – on a hugely extended 250-year lease not offered to the football club. ACL’s operating loss of £1.409million was a slight improvement on the previous year’s operating losses of £1.429million, which partly coincided with the football club switching ‘home’ games to Northampton amid a legal dispute following Ricoh Arena ownership talks and rent non-payment. The statement of ACL’s trading ‘uncertainty’ and reliance on the bank from ACL’s then directors – including London Wasps’ David Armstrong, Nick Eastwood and Derek Richardson – contained in the newly published ACL accounts, states: “The company meets its day-to-day working capital requirments through its bank facilities. “The current economic conditions continue to create uncertainty over (a) the level of demand for the company’s products; and (b) the availability of bank finance for the forseeable future. “The company’s forecasts and projections, taking account of reasonably possible changes in trading performance, show that the company should be able to operate within the level of its current facilities. The accounts also state that ACL’s Wasps owners remain optimistic of securing significant sponsorship, potentially worth several millions of pounds, from the naming rights to the stadium, an announcement on which was expected months ago. ACL’s forecasts are also based on the hope that Coventry City Football Club will remain as Ricoh Arena tenants. The football club’s owners continue to insist its future lies in a new stadium to bring in vital revenues from commercial stadium activities 24 hours a day, seven days a week, while – somewhat incongruously – the club’s new managing director Chris Anderson has not ruled out striking a deal over revenues with London Wasps to remain at the Ricoh. Wasps have confirmed the club might have to refinance its £35m bond scheme after financial experts cast doubt on the club’s ability to repay its debt. Following the publication of the half year accounts for Wasps, the Telegraph sought expert analysis of the figures. Two accountants, and an internationally respected academic, all concluded that Wasps are unlikely to be able to meet its financial commitment to bondholders of repaying them in full by 2022. The experts also agreed that the club would probably look to refinance the debt. 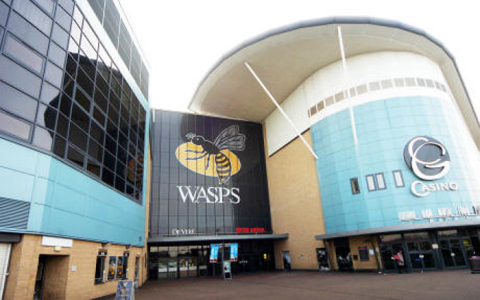 They also noted that value of the Ricoh Arena is greater than the club’s debts - but selling it was deemed unlikely, and has been completely ruled out by Wasps. The arena operators have yet to secure a potentially lucrative stadium sponsorship deal, which would have an obvious impact on finances. Overall, the firm was deemed to be “moving in the right direction”. Paul Carvell, managing partner at Stuart Fletcher and Barrett, said: “The biggest loan they have is through Wasps Finance PLC which now stands at £33.9m. That loan is repayable in a lump sum repayment in 2022. “There is no way the company is generating the money to repay that. My only conclusion is that they are going to have to re-finance, unless there’s a massive turnaround. “All I know is that it’s not generating enough money at the moment to pay that off from its own trade. “The balance sheet is positive, they have enough assets, but the only way for them to pay it at the moment would be to sell the asset (the Ricoh Arena), which is not going to happen. “As we have always said since launching the retail bond in May 2015, one of our options would be to re-finance the bond, which we are entitled to do any time between May 2019 and May 2022. “Anyone working in business in general or in the financial industry will understand re-financing is a very common step in many financial situations and particularly for long-term asset backed bond finance. WASPS are refusing to come clean publicly after last week’s astonishing revelations from auditors PwC that “evidence” was “falsified” following an “override of management controls” to massage the accounts, amid the rugby club’s ongoing financial troubles. The damning findings by PricewaterhouseCoopers (PWC) – exclusively revealed on our website and front page – concern attempts to mislead the public and Wasps’ bondholders about the company’s revenues and financial health. PwC is now resigning as independent auditors to the Wasps group. PwC’s auditor statement also concludes there is “material uncertainty” over whether Wasps can continue as a “going concern”. Our investigation has since raised questions with Wasps, PWC, the Stock Exchange, regulators, enforcement agencies and Coventry City Council following the auditor’s statement, published last week in Wasps’ belatedly filed accounts. “Falsification” of evidence and an “override of management controls” – by any industry and standard definition – raises the potential for fraud, as described in guidance published by audit regulator the Financial Reporting Council. As of today, Wasps would not be drawn further, following our questions, on what precisely happened concerning PwC’s report of evidence being falsified and the overriding of management controls. PwC resigns as auditor for Wasps after recent accounts revealed 'falsified' information and "uncertainty"
Following recent 'falsified' accounts for Wasps, PwC have now resigned as their auditors. PricewaterhouseCoopers LLP were the registered auditors for Wasps, but they have now confirmed they are resigning due to the 'seriousness of the events' regarding the previous accounts. PwC said following the completion of their audit, they do not consider it appropriate to continue as auditors. The resignation was published on Companies House earlier this week. The auditors cast a shadow of doubt on the future of the club after its accounts revealed it is relying on shareholder cash to stay afloat. A full document was uploaded to Companies House from PwC explaining their reasons for resignation. The letter, dated May 19 2018, was the day the resignation became effective. Below is information contained in the letter from PwC. "The reason we are ceasing to hold office is that, as set out in our audit report on the financial statements of Wasps Holdings Limited for the year ended 30 June 2017, during the course of our audit we were provided with evidence which our testing revealed to have been falsified. "Given the seriousness of these events, following completion of our audit we do not consider it appropriate that we continue as auditors." They must of been taught by the EU the only difference the EU s are never signed off. 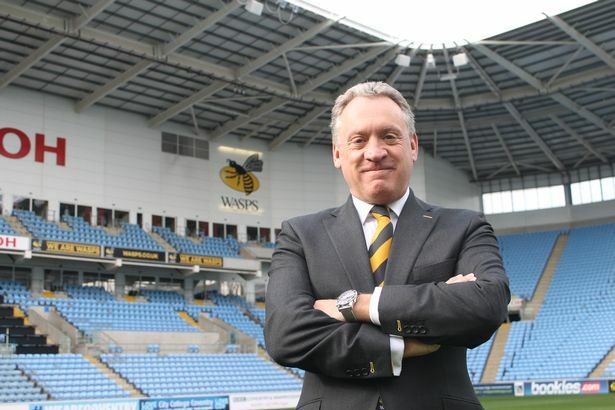 The company which controls Wasps and the Ricoh Arena has seen its annual pre-tax losses double, with the group still reliant on support from its millionaire owner. Net debt in the accounts for the year ending June 2018, including a £35million bond, now stands at £55.8m and the total owed to Irish millionaire owner Derek Richardson hitting £18.6million, up from £12.9m in 2017. The latest accounts for Wasps Holdings Ltd, which includes Wasps, stadium operators Arena Coventry Limited and events company IEC Experience Ltd, shows much of the increased losses were down to one-off items. This includes paying out £400,000 this year alone to fight a legal battle over the sale of the Ricoh Arena with the parent companies of tenants Coventry City. What do the Wasps' accounts reveal? The groups' loss before tax for the year ending June 30, 2018 was more than double last year's - £9.7m compared to £4.7m. Owner Derek Richardson has continued to bankroll the firm. Net debt is £55.8m, with the Ricoh Arena worth only slightly more at £60m.